Royal purple is the perfect color for adding a regal twist to your ensemble! 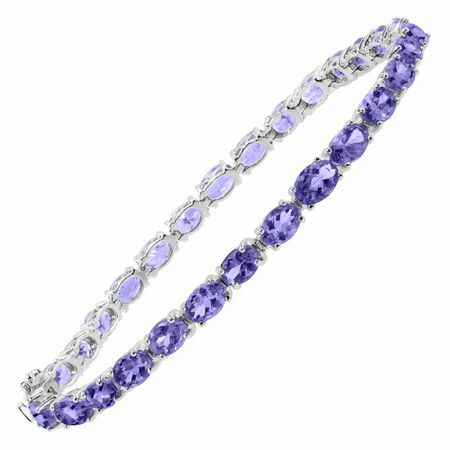 Oval-cut natural tanzanites totaling 13 ct line a clean setting in sterling silver finished with a safety clasp. Piece measures 7 1/2 or 8 by 3/16 inches.